What makes 5280Fit stand out? Locally owned and operated by Sonja Steward and her daughter, Haelin. 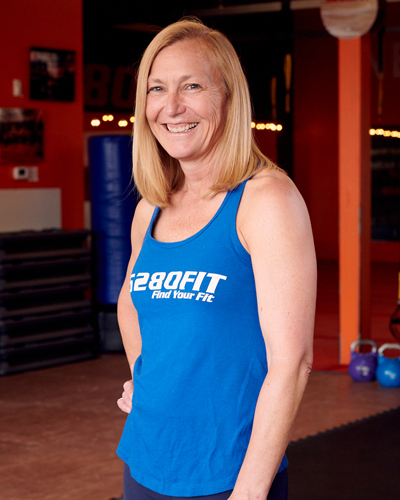 Sonja started the business in 2000 to help mom’s get their “before babies” body back because that is what fitness did for her! Sonja built her business from “scratch”! She knows that God’s purpose for her is to use her spirit and fitness experiences to help others Find their FIT! 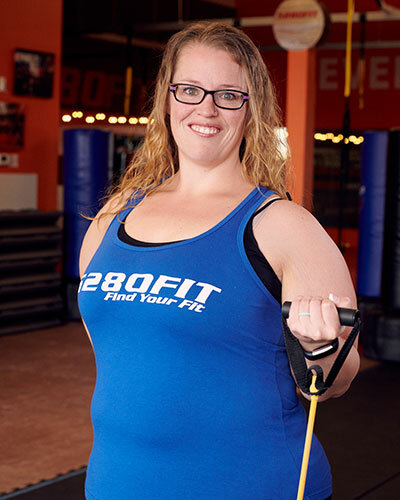 The 5280Fit instructor team has been mainly built from within her membership organization. She believes that in order to help others, you first have to fight the good fight for yourself first before you can help others down the same path! Each team member is trained by Sonja, Haelin and their staff of master trainers. Very rarely (if ever) will you repeat a workout at 5280Fit! Our team of instructors have the flexibility to design their own workouts with the clients needs in mind (not theirs)!! 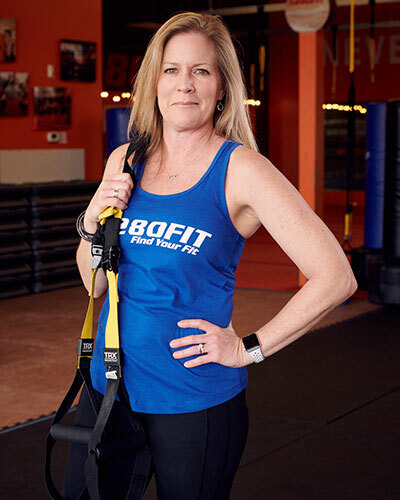 Unlike most group fitness classes which are choreographed and repeated over and over again… 5280Fit, does not want you on “autopilot” when you are working out. We want you present in your workout! Our team not only challenges you physically, but mentally as well. We push you to connect your mind with your muscles to get the best overall results from your workout! We look forward to meeting you! 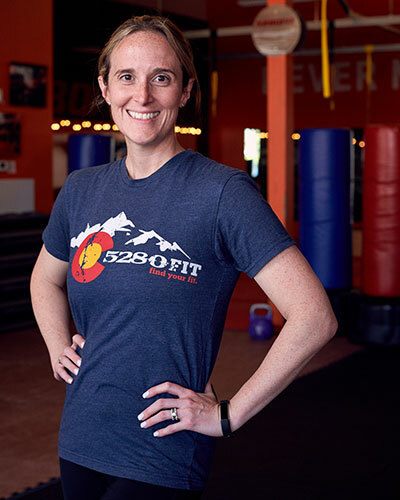 Come Find YOUR FIT at 5280Fit! Hello, my name is Sonja and I have two amazing girls who grew up in the gym with me! Morghan, attending CSU with dreams of owning her own event planning company; and Haelin who is now my partner. Many people don’t know this about me, but I grew up in a farming community. I learned at a very young age that you work until the work is done, you never give up, and you persevere to achieve dreams. Over the last 18 years in the fitness industry, I’ve built my business from a passion to help others as I was once helped after having children. As mothers, we give all we have to our children and forget about ourselves! Before kids, I was always active, but never dedicated to working out on a regular basis. I was a size 8 until I had kids. Then the 8 became a 12 and nothing was working to get back down to my “skinny jeans” until I found Tae Bo®! It took some time, but I have consistently remained a size 4 because of my love for fitness. For 15 years, I trained with Tae Bo® Master Billy Blanks and his daughter Shellie. I can never thank them enough for not only teaching me about physical fitness, but also spiritual fitness! I’ve been in several Tae Bo® videos over the years, built a team of certified instructors and became a Master Elite trainer for Billy. My goal has always been to provide a handful of the best group fitness programs under one roof! In 2016, I created a new program: Gateway to Group Fitness to help those that want to get healthy and fit but are not comfortable walking into a gym or group fitness class. I’m really enjoying seeing clients progress from our gateway program to group fitness classes! Currently, I became a Certified Functional Aging Specialist and we are currently launching a new program called Forever FIT! 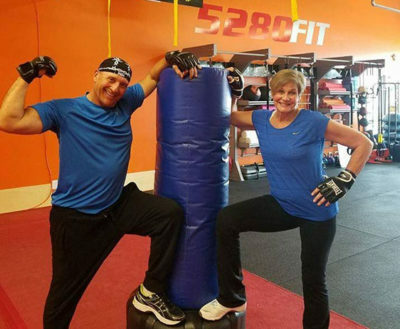 5280Fit will be working with baby boomers in order to keep them active throughout retirement. Haelin & I have a goal to have 4 locations by 2020. We are currently super excited to be opening our second location in Windsor CO.
Hey! My name is Haelin Steward and I am a Colorado native, born and raised in Littleton. I grew up playing sports year round and being outside as much as possible! I also had the pleasure of growing up in my mother’s gym when she started it in 2000 (I was 5 years old!) and I have seen what fitness can do to drastically change lives! I grew that same LOVE and PASSION for helping others through their fitness journey, so I went on to attain my Bachelors in Exercise Science and a personal training certificate at Colorado Mesa University. 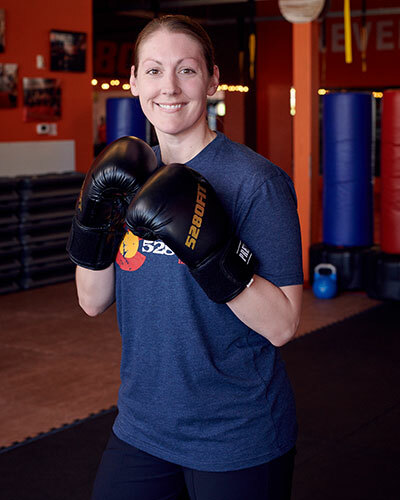 While still in high school in 2013, I was first certified in Tae Bo and have been teaching group exercise classes at 5280Fit and Colorado Mesa University ever since! I am looking forward to working and sweating with you!! Hi! My name is Heidi Castro and I have always had a passion for physical fitness, nutrition, and overall well-being. I am originally from Michigan and moved to the Denver area in 2009 when I married my husband, who is a Colorado native. When we’re not working, we enjoy hiking, time with family and friends, volunteering for various organizations, and taking our dog for walks. 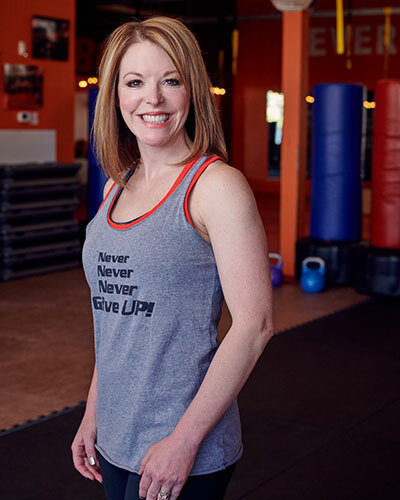 When the opportunity came about to become a fitness instructor at 5280Fit, I jumped at the chance, as I wanted to start sharing my passion with others and help people through their journey, whatever that may be! I love designing and teaching workouts that challenge your body, mind, health, and overall spirit. I love seeing the changes that a healthier lifestyle brings about in people. Clients will tell me that their energy level is higher, that they have improved muscle tone, or that pain that they once had has gone away. I hope you will join me in making physical fitness and well-being part of your journey and your life. Let’s see what great things can happen! I enjoy being a fitness instructor because of the positive energy I feel from teaching others and helping them to get fit. I love to see people set personal fitness goals, such as getting to the gym a certain number of days a week, and then the look of accomplishment when they achieve those goals! No one ever says, “I wish I hadn’t worked out today”–that’s why it is so fun to be a fitness instructor. In my “day job” I am an Adult Nurse Practitioner, and I’ve been in clinical management for the past 6 years or so. I’ve spent over 20 years of my nursing career taking care of primarily older adults living in nursing homes. I am very passionate about quality of life for those who are chronically ill and about providing compassionate end of life care. I remain passionate about those things, but I have recently felt the need to reach out and help younger adults improve their overall health and fitness so that they can enjoy an improved quality of life and perhaps even extend their lifespan as a result of making healthy changes to their lifestyle. I think it all comes down to a great joy in helping people feel better, and being a fitness instructor is another way for me to share what I enjoy doing the most! I am grateful to be part of the instructor team at 5280Fit! I have never been skinny, but thanks to my time with this wonderful group of instructors, I am truly FIT! My philosophy is that you can be fit at any size, and my goal is to help you believe that for yourself; to find the confidence and ability to live the life you have dreamed of. Join me in our Gateway program and learn to love what your body is truly capable of. When I’m not teaching at 5280Fit, you can find me enjoying life as a Highlands Ranch native with my husband, two young children, and goldendoodle, Toby. Hi, my name is Cindy Staab. I have lived on both coasts but am happy to call Colorado my home for the last 8 years. I have two beautiful daughters and three step kids since marrying my husband in 2015. My love of athletics started early as I grew up in California playing field hockey both in high school and college. I graduated from UC Berkeley with a degree in Exercise Physiology before heading to the East Coast. There I went through PTA school and finally got my personal training certification. When I moved to CO, I found a new lease on life and got involved in everything outdoors that there was to offer. After battling with my own weight growing up, I realized how important the nutrition piece was to the fitness puzzle. That drove me to obtain two nutrition certifications, Precision Nutrition and Institute of Integrative Nutrition. I love all things food, weights and TRX. Being a part of the 5280Fit community has been amazing! I love seeing everyone’s progress and excitement as they move toward their goals. Pushing women to be stronger versions of themselves is my goal, not to be afraid to lift the heavy weights! So, I look forward to every class to see what new things we can do! Come join my Fit Circuit or TRX to see what YOU can do! Hi! 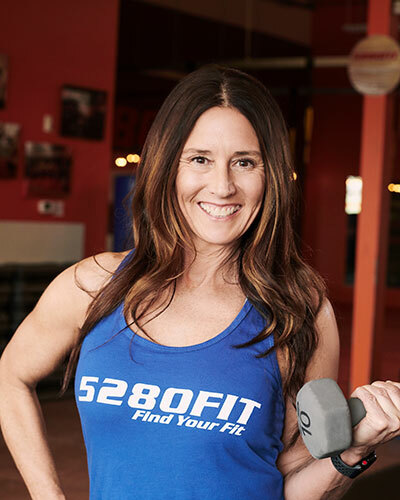 My name is Christina Hanson and I am blessed to be a part of an incredible team of certified instructors at 5280fit. I moved to Colorado from Minnesota in 2003, after marrying my husband of now 13 years. We have two beautiful daughters, Kayla and Emery and live in Highland Ranch. I am a nurse practitioner at a gastroenterology practice in Denver and I absolutely love my job! 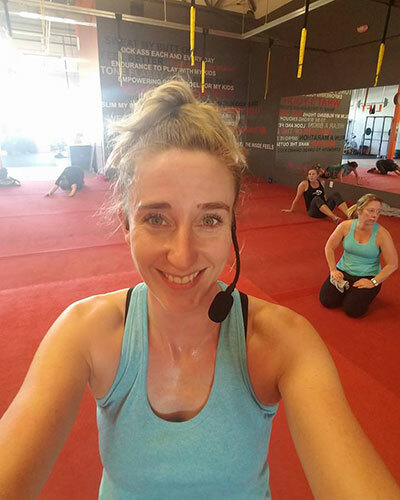 Shortly after the birth of my first child in 2009, I signed up for a 6-week challenge at 5280fit and fell in love with the workouts and I have been coming ever since! 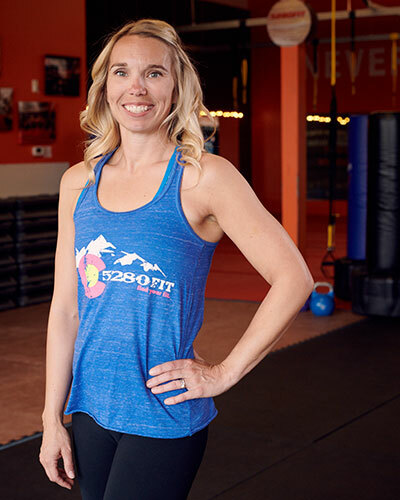 The format of group fitness classes at 5280fit has really helped to keep me motivated and the community that is the clientele at 5280fit is absolutely incredible! 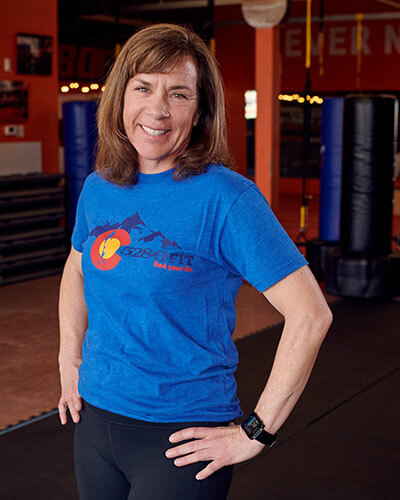 I have always enjoyed sports and fitness and my passion has historically been running, but I needed to incorporate more strength and interval training and 5280fit has helped me to achieve this in a fun and challenging way. My philosophy for fitness is that it should be all-encompassing in regard to well being, in such that it is not focused solely on the pounds on the scale, but rather how it can make an individual feel strong, healthy, and confident; and the undeniable benefits of stress release and spiritual rejuvenation are certainly a plus! I have been so blessed by 5280fit over the years and love being able to give back through teaching and hopefully instill a similar passion in others for 5280fit and for fitness as a whole! Hi, I’m Susan and I found 5280fit over six years ago through one of my friends. She said the workouts were great, people super fun and you’ll never find another gym like it. I had been doing group exercise classes since I was 15, and thought I would give it a try. I had just had my third child and was looking for something/someone to help me get back in shape. I did a two week trial membership then went around town looking at other gyms and taking other classes. I kept thinking to myself…this class isn’t as fun as 5280fit, or this instructor isn’t as good as the one at 5280fit. It took me two more weeks to realize I kept looking for classes as good as the ones I had taken at 5280fit…I had found my FIT! After about eight months of taking classes and getting back in the swing of things, I had the opportunity to join the instructor training class. Best decision of my life! Not only had I found my FIT, I also found my passion. I absolutely love teaching classes; finding new exercises, coming up with crazy themed workouts and the best part….watching our clients get stronger, leaner and…well…brighter. Their smiles, their confidence, their inner peace and joy; it is truly my pleasure to witness the change. Working out is not everyone’s passion like it is mine, so my goal for every class is to make people smile, laugh and have a good time. That is the type of culture you find at 5280fit. We are a community of people there to support each other, make the changes we want and to work our behind off…literally and figuratively. I look forward to seeing you in one of my classes! Hi, my name is Julie Seagren. I have a wonderful boyfriend Jack and crazy yet adorable dog Rockie. We enjoy spending our free time traveling, going for walks, cooking and working on projects at home. After I graduated from I relocated to Colorado. Within 5 years of graduating, I had gained over 75 pounds. I tried every diet pill, cleanse, fad diet and “quick fix” option out there. I had been bouncing around between gyms, never finding the right fit or workout for me until I found a Groupon for 5280Fit in January 2012. Once I started at 5280Fit, I felt at home and haven’t looked back. I fell in love with the workouts and loved how the instructors pushed me past what I thought I could physically do. I love the community feel of 5280Fit, and love to see the members encourage one another, it truly is a family atmosphere. It wasn’t until I found 5280Fit I realized that there is no easy weight loss trick or plan, it takes hard work, clean eating and dedication. I am happy to say that since joining, I am down 65 pounds and still working on improving myself. I was asked if I would be interested in teaching in January 2017. I am excited and honored to join the excellent group of instructors at 5280Fit. The reason I enjoy teaching is nothing makes me happier than being red-faced after a great workout and seeing changes in not only my own body but member’s bodies as well. I have been there, I know how hard it is, and want to help others through achieve their goals! Progress is more than the number on the scale, it is how you feel, how your clothes fit, how much stronger and how much more endurance you have than when you first started. 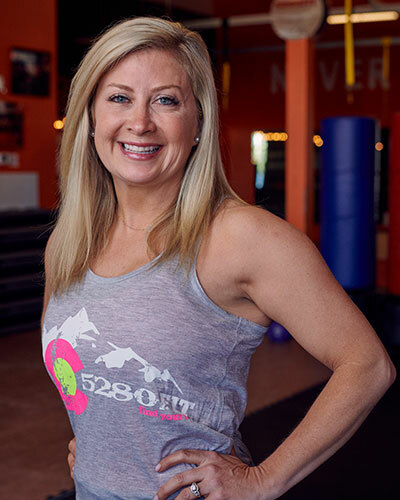 From my experience at 5280Fit, it is much more than a workout, it’s a place where the whole being is served, from nutritional advice to meeting new friends, it is truly a family atmosphere. Hi! 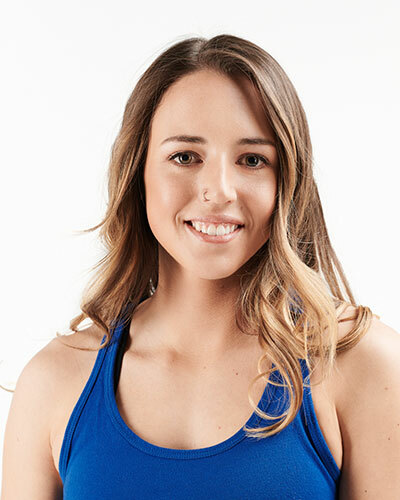 My name is Laura Walsh and love teaching at 5280fit. Exercise is a passion for me since I was a little girl. 5280fit has the variety of classes for any person either just starting to exercise or the elite athlete. I started at 5280fit in 2009 after my third child was born and so surprised the weight came off really fast. I taught elementary school for 13 years and just stopped teaching when my 3rd was born. I have done 1/2 marathons, Triathlon sprints, and have done all kinds of exercise. Even during training for other things my friends asked how I had so much endurance and it was because I still went to 5280fit while training. It helps me when I am on the mountain snowboarding or hiking too. When I was pregnant with my 4th child I went to classes up until the 7th month(modified of course) and it helped me through the pregnancy and melt the pounds off after. Then became an instructor in 2014 and love every minute of it. Every one of my classes is different and everyone instructor is different. Some are easier than others but in all it’s just all about being healthy. The more you move and use your brain the more health benefits you will have. Every class is an accomplishment and you will be so proud of yourself! You just have to walk through the door and see. I love 5280fit because it’s not like the big huge gyms. We are a family here and people of different sizes, shapes and ages! You will not feel intimidated walking in because it’s so inviting. Come join and see and I bet you won’t leave like me. My name is Emily Emmet. I am a mother of 2 little boys. I had always taken an individualized approach to my fitness. I loved running or working out at a gym on own, but when I moved to Colorado in 2013 that all changed. I found 5280fi and it was a great opportunity to stay in shape and also meet new friends and moms in similar situations as me. I started my journey to becoming a fitness instructor by becoming Fitbarre certified in the summer 2014. I also became certified as a personal trainer at the same time. I am also TRX and Strengthology certified. I also use my background in personal training to help members in our Gateway to group fitness program. In 2018, I was able to start training other instructors in a combination of TRX and Fitbarre called TRX Fitbarre. I can’t wait to meet new faces and start on our fitness journey together. My name is Debi Goldberg. My family and I relocated to Colorado from Chicago in 2012. We chose to make the move because we loved the idea of an active and healthy lifestyle, and what better way to make that happen then to live in Colorado! I am a wife to an amazing husband, Eric and a mother to two wonderful children, Nathan and Katelyn. In our spare time, my family loves to go camping and hiking. Since moving to Colorado, I have discovered that I really enjoy running as well. Who wouldn’t love to hit the trails when there is so much beauty around us? I have completed many 5Ks as well as participated in a Marathon Relay. I am so excited to be teaching Kickology, Strengthology, Boxology, TRX and my favorite Mixology classes at 5280Fit! I also lead small groups in our Gateway to Group Fitness Program! I have always enjoyed group fitness classes, especially ones that make me work my body AND my mind. I joined my first Mom’s Challenge at 5280Fit in September 2014 and I was instantly hooked. The energy was AMAZING and I absolutely loved the challenging choreography by all the instructors. In Nov 2014 a certification class opened and I jumped right in! I love the feeling I get after a workout and hope you will feel the same way after taking one of my classes! I can’t wait to see you at the gym!